There are hundreds of space rocket launches across the world every year, from cargo supply runs to satellite missions, but that doesn't mean many of us get the chance to see these incredible spectacles in person. Well, turns out NASA has come up with the next best thing - footage so real you'll be practically be able to feel the heat of its boosters. The footage isn't just a great way to experience the exhileration of a NASA launch, it also marks the return of the Cygnus spacecraft to operational rotation. The craft was originally pulled from use when one of its models was destroyed when the Antates rocket carrying it exploded in October 2014. 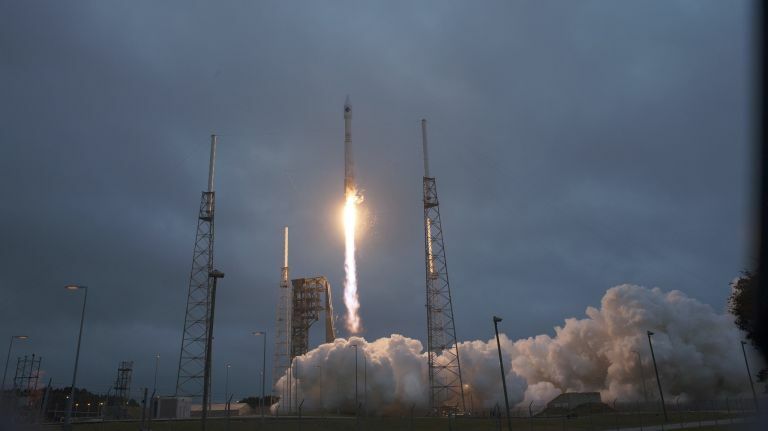 The brand new Cygnus spacecraft, which will perform a cargo resupply run to the International Space Station, will now sit atop an Atlas V rocket while NASA continues to test the safety of the Antares. The footage, which you can see here, shows the rocket launching without a hitch. The rocket breached our atmosphere shortly after and the Cygnus spacecraft successfully docked with the ISS a few days later.